Nwora Chukwuekezie Ferdinand Popularly Known as Prince PDPJ is a versatile Singer, Song writer and a Recording Artist under his own record label “PDPJ Records”. 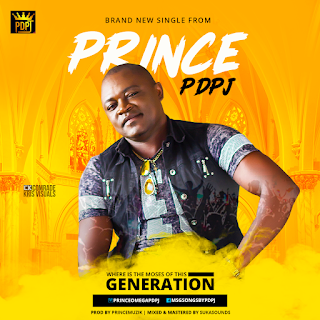 Prince PDPJ who is also a building engineer spent more than Six years in Israel and now he is finally back to Nigeria to bless the fans with more music. One thing you can say about Prince PDPJ is that he has constantly churned out dope tunes since he broke into the mainstream. He comes through this time with an Audio and Visuals to his new song titled — “Where is the Moses of This Generation”(Shey You Know). This song passes a deep message to this generation. With a blend of dance feel and an eccentric production from PrinceMuzik and an Amazing Visuals by Swag Montage.